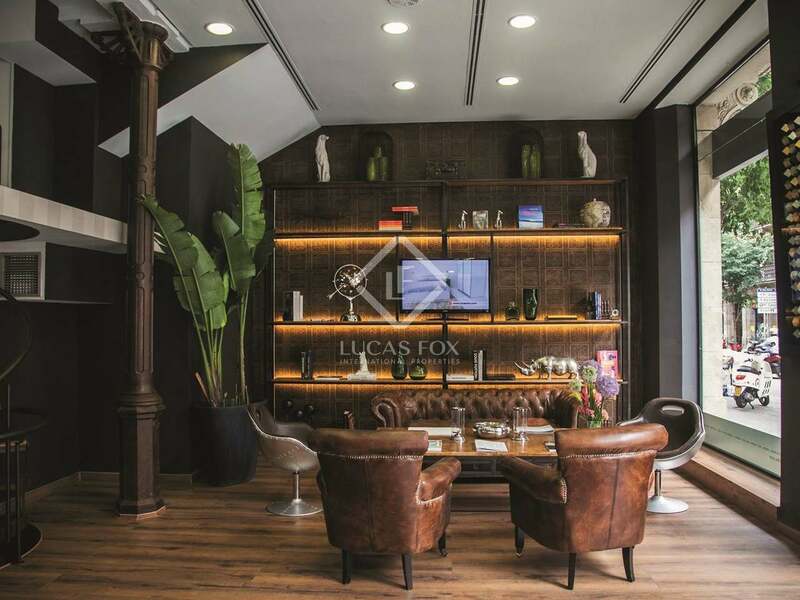 At the Lucas Fox Barcelona City centre office we offer a diverse selection of luxury properties for sale or rent. 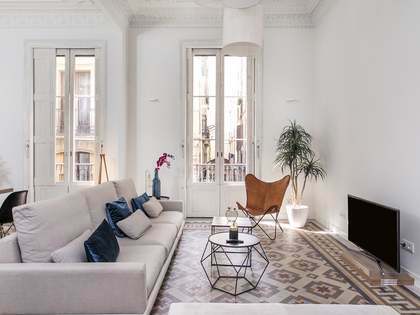 Whether you are looking for an apartment or penthouse in one of the historic stately buildings in Ciutat Vella, a period property in Eixample, a new build home or a trendy loft apartment in Poblenou or Gracia, we have several properties that will meet your criteria. For those looking to invest, we have a wide range of buy-to-let properties available in this landmark city. Our talented and experienced agents always take the time necessary to understand each individual client’s preferences and requirements in their property search in order to provide a bespoke service and guarantee complete client satisfaction, seeking only the very finest Barcelona City centre properties with a particular focus on location and design. Our friendly and highly professional multinational team at the Barcelona City centre office can attend you in English, Spanish, Catalan, German, Italian and Russian. 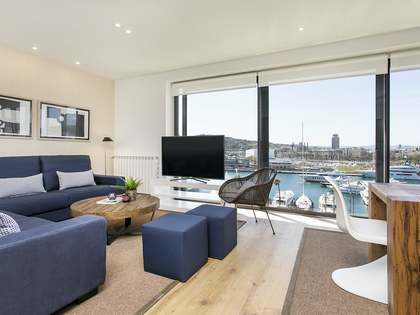 Allow us to show you our extensive catalogue of unique high-end properties and accompany you during your exciting property search in Barcelona City centre. 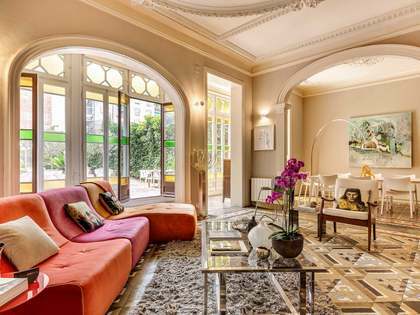 The Eixample properties offered by Lucas Fox are typically found in charming stately buildings, often with original Modernist elements and large elegant lobbies. 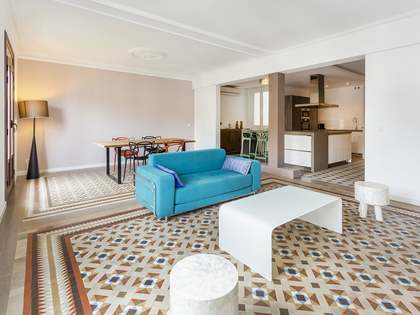 High ceilings, private terraces, a central location, a tourist licence and a new renovation or good potential to renovate are all features that make a property popular in Eixample. This area boasts elegant stately architecture and is home to several important Modernist buildings by Barcelona’s most revered architect – Antoni Gaudí. It is particularly coveted for its convenience as there are a great number of services at every turn: shops, medical centres, public transport, restaurants, schools, etc. The grid like design of the Eixample gives it special characteristics that are worthy of some consideration when choosing a home here. The horizontal streets are the quieter ones while the perpendicular streets are interesting if the apartment is south facing as it will enjoy sun all day. The most coveted streets are Carrer Paris, Córsega and Rosselló after Rambla Catalunya, Enric Granados. Passeig de Gracia is possibly the most prestigious address one can boast in Eixample but is a luxury available only to a fortunate few. International and national clients typically seek at least 2 bedrooms in their primary residence, pied-a-terre or future investment to rent in Eixample. 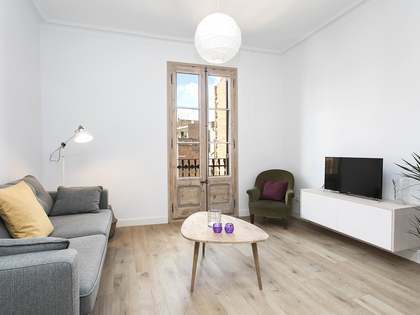 There is no doubt that Eixample is a star location for international clients looking to buy real estate, usually seeking properties that are just a short walk away from the tourist sights, markets and the world famous 'Ramblas'. Here national clients are in the minority and tending to purchase property closer to Avinguda Diagonal. The trendy Born neighbourhood of Barcelona is widely considered to be the most charming area of Ciutat Vella. Its labyrinth of pedestrian streets with may bars, trendy restaurants and fashionable shops make it a fantastic place to live. What’s more, it is very close to the Ciutadella Park and the beach but at the same time it borders the Eixample district. The typical property search in this area focuses on tastefully renovated apartments of approximately 120 m2, preferably with original period features. Also available are properties that boast good sized terraces for outdoor dining and a surface area of 160 m2 or more. The Born is a superb location for a pied-a-terre in the city or for investment. In the Gracia neighbourhood clients typically seek 2-bedroom apartments in stately buildings, ideally with a terrace and lift. 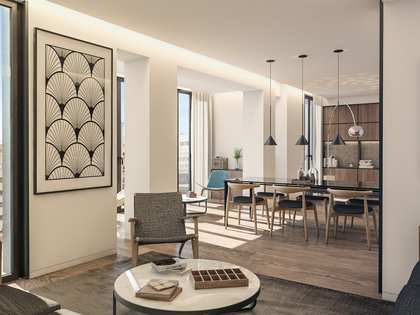 Gracia appeals equally to national and international clients, though the international buyers tend to be established residents that know the city well. Many are attracted to the bohemian and artistic vibe of Gracia and the ideal balance of proximity to the city centre and the smaller neighbourhood lifestyle offered here. Our typical clients in Gracia include single professionals, students or young couples buying their first home, as well as investors looking to take advantage of the high rental yield in this area of the city. In the Gothic quarter of Barcelona Old Town both newly renovated apartments and properties for the client to renovate themselves are in particular demand; the latter more commonly in the case of investors. It is evident why Barcelona Old Town property is so popular: charming historical streets and buildings, excellent dining and endless independent boutiques, as well as the beach and the city centre on your doorstep and excellent public transport links around town. Our real estate in el Gótic provides the opportunity to own a piece of Barcelona’s history and enjoy an unbeatable central location in a landmark European city.